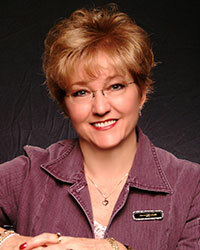 People like Elli Parrish did not get proposals of marriage from someone like Dr. Caleb Chaney. Even if his offer was the answer to her prayers, a man as decent and kind as Caleb didn’t deserve a woman whose past was a lie. Caleb Chaney could see that Ellie was a woman with a troubled soul. But he could also see a woman with a heart big enough to love his infant son as though she were his mother, and big enough to teach Caleb himself how to love again. 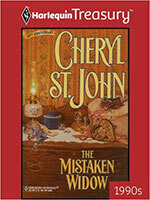 Kidnapped as a child, sold to a con man, she’d fast learned how to sweet-talk her way out of trouble. Now all Sophie wanted was to be left alone to build a new life—one that was honest and decent, based on truth, not trickery. Lorabeth Holdridge longed for life and experience! Cloistered by her strict father, her world was confined to chores and prayer. Her chance of escape came when she took a job as housekeeper to a boisterous family. Lorabeth reveled in her newfound freedom. 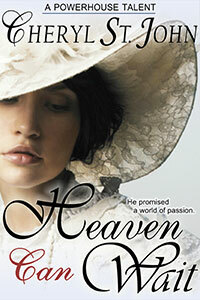 And when Benjamin Chaney visited, she felt the stirrings of her first crush. All her life everyone she’d ever known had told her so. Except Luke Carpenter, who never let her limp blind him to seeing her as she really was: a woman grown, full of dreams, desires and hopes for a future—with him! 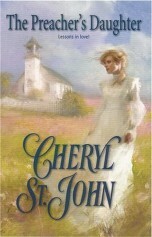 The only unmarried woman in town, Charmaine Renlow has been waiting years for her beau to propose, and she’s had enough. Maybe it’s time to move on to greener pastures…like single father Jack Easton’s homestead! Scarred in body and soul, rancher Noah didn’t consider himself fit company for anyone. But when his brother’s philandering finally caught up with him, honor dictated that Noah claim his brother’s widow as his own…. Standing on her doorstep, with his collar turned up and a rifle by his side, Noah was about the most intimidating man Katherine had ever seen. And though one man’s false promises had already dashed her dreams, she instinctively trusted this stranger. Even more, Kate suspected she’d only be a fool this time if she didn’t take a chance on Noah for the sake of herself…and her unborn child! 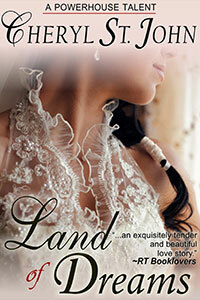 Courtesan Ella Reed escapes dangerous city life to rural Wyoming and says “I do” to a marriage of convenience! But she may not live the life of a respectable woman for long if she can’t keep her past–and her heart–under lock and key. For a self-made man with political aspirations, love is trivial in a paper marriage. Nathan Lantry needs a wife to secure his election and manage his rowdy little boys. Yet he can’t stop wanting more from his irresistible new bride. Then her secrets start to unravel…. When eighteen-year-old Mariah found herself pregnant and unmarried in her small Colorado town, she disappeared. 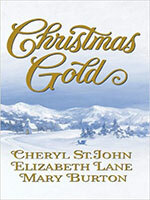 One year later, she returned with a baby—though minus the “husband” who had conveniently ventured off to Alaska’s gold fields to seek his fortune…. But now, with handsome adventurer Wes Burrows turning up and claiming to be the husband she had invented, Mariah’s lies become flesh and blood—and her wildest dreams a reality! Protecting people runs through Jonas Black’s blood, and Eliza Jane Sutherland is one woman who needs his strong arms around her. 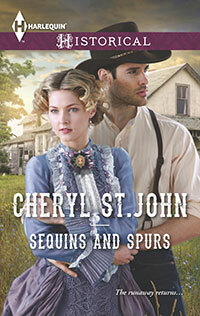 A rugged Montana man, Jonas will guard Eliza from her vile brother-in-law as fiercely as he guards his own heart. But though he can fight her enemies, he can’t fight the attraction between them. Soon Jonas is sure they have a future together—only Eliza hides secrets that could change everything…. Amy Shelby had learned this sorrow well. Her heart had gone into the ground a year ago along with her boy’s tiny casket. And not even her husband, Jesse, wrestling the same pain, could resurrect any hope in her. Jesse Shelby mourned two losses—his baby son and his openhearted bride, for when their child died, Amy retreated behind a wall of grief as wide as the Nebraska prairie. 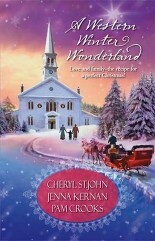 But could a chance for a new family heal their wounded marriage—and guide them back to the comfort of each other’s arms? 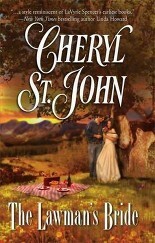 Tye Hatcher returned to Aspen Grove to find that life in the sleepy Western town hadn’t changed much. The townspeople stubbornly refused to see the man he had become. That is, everybody but Meg Telford. Meg definitely took notice of the reticent rancher and gave him a chance in life when no one else would. Still, Meg clung to the memories of her late husband, afraid of the feelings Tye aroused in her heart. 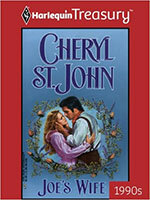 And though Tye vowed to prove his worth to the town, could he ever prove to Meg that he was worthy of her love? Shooting a bandit was reporter Hallie Wainwright’s introduction to the Wild West, where she’d traveled with a bevy of mail-order brides. 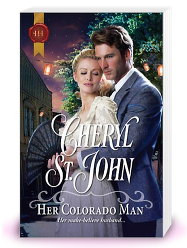 But it was the more intimate “hello” in the arms of Cooper DeWitt that sent her heart racing—and made it all the more difficult for her to tell the brawny plainsman that she wasn’t the woman he’d sent for…. When she jumped from the stage, shining with true grit and spewing tall tales, Cooper DeWitt thought he just might have struck gold. 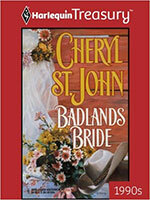 Raised with the Sioux, Cooper needed a wife who could brave the frontier and corral his restless heart. The problem was, his would-be bride had no intention of marrying him! Secrets and lies made poor references, Linnea McConaughy knew. But her survival depended upon keeping her past hidden, especially from her employer, rancher Will Tucker. 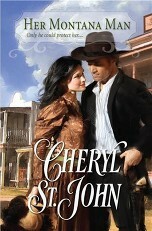 True, he’d shown her kindness, even tenderness, but could he ever accept her shameful past–and another man’s baby? Will Tucker did not like surprises, and Linnea McConaughy was not the sturdy, past-her-prime widow he’d expected to manage his household. Instead, she was a tiny slip of womanhood desperately seeking a place to belong. Yet much to his growing surprise, that place seemed to be in his home–and his heart! I’m not who you think I am! Sarah Thorton wanted to shout, but revealing her true identity could only bring disaster on herself and her infant son. Still, sorrowful circumstance had turned a mistake into a miracle. She suddenly had a home, a family—and Nicholas Halliday, a man as dangerous to her as he was desirable. His newly widowed sister-in-law wore mystery as elegantly as an evening wrap, rousing more than suspicions in Nicholas Halliday—for this beautiful stranger had a claim not only to the family fortune, but also to his heart and soul. In this heartwarming romance drama of hope and redemption, Joshua McBride returns from the Civil War a changed man, ready to put down roots and plant his feet in the community. Prim and uptight Miss Adelaide Stapleton, leader of the Dorcas Society, doesn’t believe he’s changed—people are never what they seem. But she has plenty of secrets of her own—among them the inescapable fact that Joshua sets her heart to pounding and makes her long for his disturbing kisses. 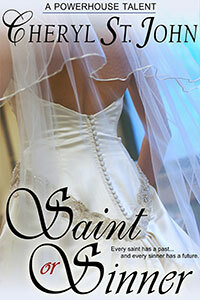 How long can she keep her own past hidden—and resist temptation? In this tale of hope and love, too-tall spinster Thea Coulson wants to be a mother to a child who arrives in Nebraska on an orphan train. 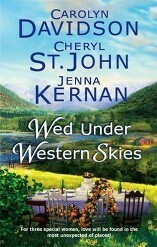 When Booker Hayes shows up to take his niece, a marriage of convenience suits them both. Thea’s nights are filled with dreams of the tall, dark army major, but she guards her heart. Booker’s first taste of home and hearth has him longing for more, but first he must win the trust of his niece…and the heart of the sun-kissed farmer’s daughter. Turner Price hasn’t been the same since he lost his wife and child. 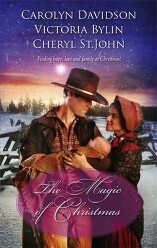 But when he finds a young woman and newborn twin babies in his stable, he realizes this may be his second chance to be a loving husband and father, just in time for Christmas! 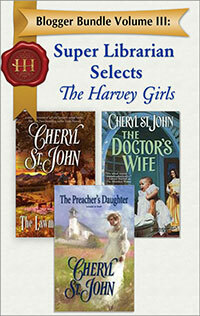 Chloe Hanley must save the town church. But only if she can convince reclusive carpenter Owen Reardon to help repair the broken heart of the community and open his own up again— in time for Christmas!